in a safe and homely environment. At Sunnyhill Residential Care Home, we’re not just here to provide a service, but to provide a place of warmth and comfort, creating a community that respects and appreciates one another. Sunnyhill Residential Care Home is situated in the heart of Eastbourne, close to local shops and public transport links. We can offer transport to residents in our wheelchair accessible vehicle should they wish to go out for the day or for an evening with friends or family. This provides both residents and their families the freedom to choose how, when and where they spend time together. We aim to keep family life as uninterrupted as possible, providing all that residents and their loved ones need to maintain life as usual. Residents and visitors are welcomed in to our small community of residents and staff from the moment they walk through the door. Our 20 ensuite rooms are comfortable and tastefully decorated. We can also provide shared accommodation ideally suitable for couples, friends and those preferring the company of others. It’s important to us that our residents feel that they have their own space to reflect, relax, and sometimes to just ‘be’. Many of our residents bring their own furniture from home, along with ornaments and pictures to make their room their own. There is a phone point in each room as well as a television point, which many of our residents use to enjoy their favourite programs in the comfort of their own room. We also have wireless internet for our residents and their families to use. Our communal areas provide the ideal space to meet family and friends over a cup of tea or coffee, or to share a meal. Our residents also have access to a range of health and beauty treatments, including chiropody, manicures, pedicures and aromatherapy. Our visiting hairdresser can also provide residents with a new hairstyle or simply a trim. The staff at Sunnyhill are our greatest asset. Their can-do attitude, responsiveness and openness to residents’ needs are what makes Sunnyhill not just a place to live, but a home from home. It is ideal for my relative because it is small. The staff are lovely. Our experienced staff receive ongoing training and development to support them to deliver the highest standard of care to residents with a range of physical and mental health needs, including care for people living with dementia. Communication is key in how we provide care and support – whether it’s communicating with our residents themselves or with their families. 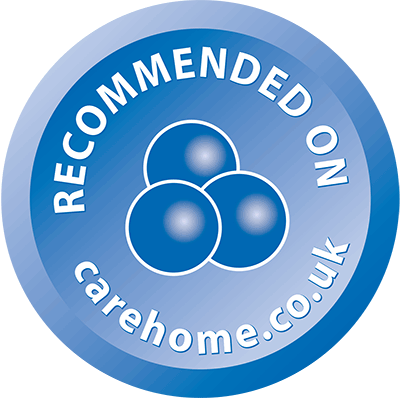 Our duty is to provide the best possible care, tailored to the needs of the individual. 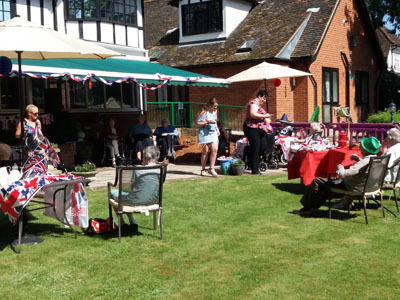 We encourage all our residents to participate in any or all activities they wish to take part in, to keep their minds and bodies as active as possible and to introduce a little fun into their daily routines. Our activities programme is planned according to the interests of our residents. This could mean supporting them to continue an established hobby or helping residents to maintain contact with family and old friends. 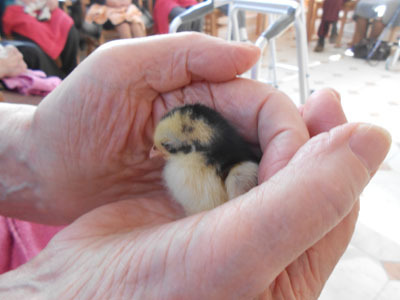 Our current programme includes gardening, gentle exercise and quizzes and includes trips out in our accessible vehicle. 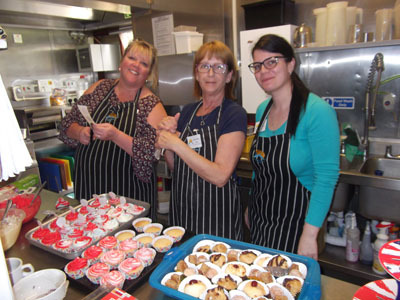 Our flexible and open attitude doesn’t just apply to our duty of care but extends much further to our dedication to residents enjoying their time at Sunnyhill. We are therefore open to your own, or our residents’ activity ideas – anything that will spread some smiles or laughter. Meals Our food is fresh and home cooked. We have a seasonal menu, and our cook can cater to any individual dietary needs. We encourage our residents to share their food preferences with us, so they can enjoy every meal at Sunnyhill. It’s important to us that residents receive as much choice as possible, as well as a wide variety of food options. 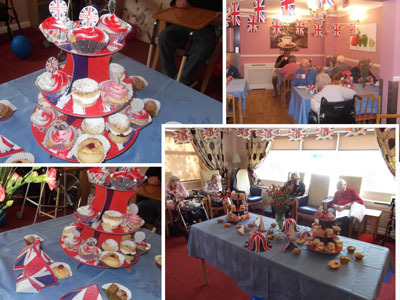 At Sunnyhill we also hold regular coffee mornings, cheese and wine parties and musical events. Special occasion celebrations shared with relatives, residents and staff are the perfect way to bring everyone together for an evening or day of fun.